On of the more annoying new features in Windows 8 on a desktop of laptop is the Lock Screen. Yes, it’s just a flick of the middle scroll wheel on the mouse, but it’s an extra step nonetheless. Here’s how to disable it. Log in to Windows and at the Metro Start screen Type: gpedit.msc. Then click the gpedit.msc icon or hit Enter. 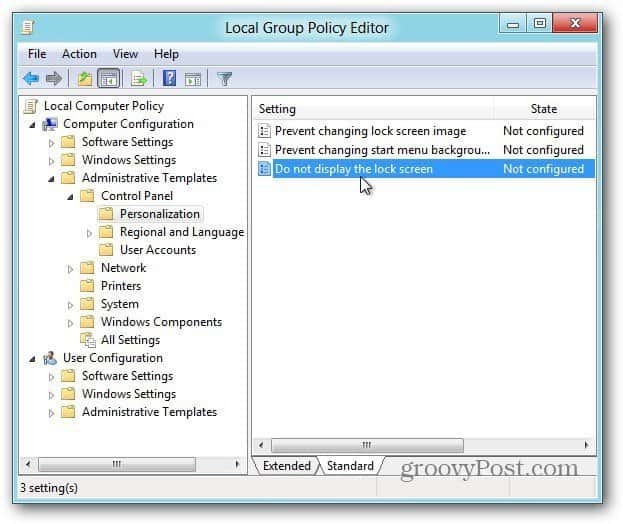 Local Group Policy Editor opens on the Desktop. In the left panel navigate to Computer Configuration >> Administrative Templates >> Control Panel >> Personalization. Then under Setting in the right, double click on Do Not Display the Lock Screen. Now change Not Configured to Enabled and click OK. The next time you restart or log off, you won’t need to deal with the pesky Lock screen. Brian, great article like so many others on this site in relation to Windows 8. 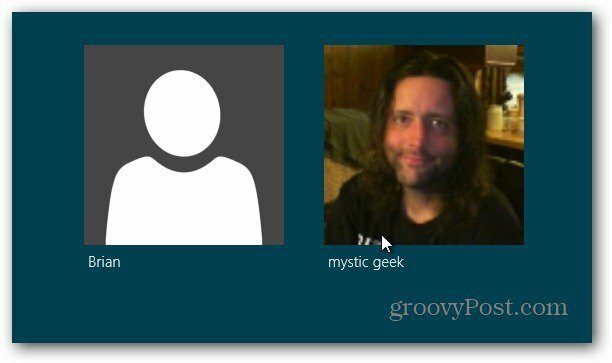 Is there any chance that groovyPost could bundle all the information/articles on Windows 8 into a pdf file sometime soon? I would assume that more will be written, but a cache of information would be greatly appreciated. Cheers! @Ziggy — we have a plan for something like that actually. Stick around and you’ll be able to access it. @Brian…Thanks for the reply, Brian. Can’t wait – I’m sure It will be popular amongst your readers.